Welcome to Milawa Muscat Retreat, providing modern, self contained, bed and breakfast accommodation in the centre of the Milawa Gourmet Region. Located on the bike track between Milawa and Oxley, and only minutes from both towns, our guests are well placed to easily access the Gourmet Region’s many fine food and wine attractions. Local transport and bike hire are also available. 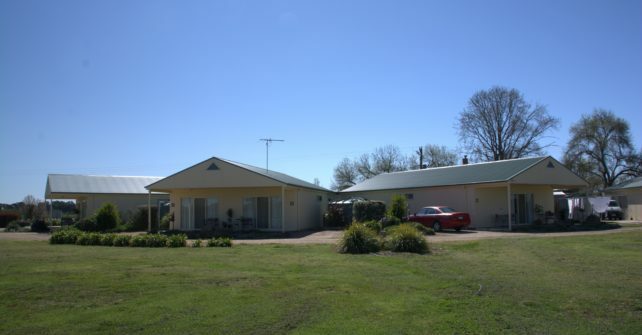 We are located only 5 minutes from Brown Brothers and the gateway to the “King Valley”. We have a 4 star AAA rating, and are on site 24 hours a day, 7 days a week. Your hosts, Peter and Denise Hoppach, share between them a total of 70 years of hospitality experience, including 28 years of fine dining experience running the highly regarded Peter’s Cellar 47 restaurant in nearby Wangaratta. As our guests, you will enjoy modern accommodation and delicious food, along with easy access to all that the Milawa Gourmet Region has to offer. We look forward to your visit. 2017 Gold List of Australian Accommodation High Country Region. Stay 2 nights from Monday to Thursday and third night is free (on availability). To King River Cafe and return. Room service available 6-8 p.m Mon.to Fri.
We are now linked up to the Milawa Gourmet bike trail (which runs right past our front gate) and which is linked to the Murray to Mountains bike trail.